It is like a big dessert outside. That is what Howard said! 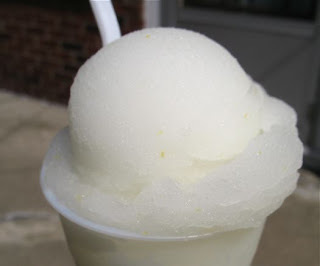 Meaning, it is like a giant lemon ice at Anderson's. I just went and took the garbage out and it was glop, glop, glop all the way to the tote and back. We did not get it anywhere near any other city, that is for sure. But still. 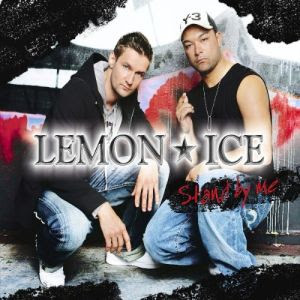 Naturally there is a band called Lemon Ice. Today I had to drive four different places throughout the day and every time, when I came out to the car, it was the same thing. I had to start all over again wiping all the heavy snow off the car. Every time you had to open the trunk, same thing. It was so heavy I thought it was going to fall down on my head! No wonder Leonard Pennario moved to California. No wonder he said he never looked back. On the bright side, Dairy Queen is open. So says my friend Art. No thanks, to the blizzard!